Hollow point ammunition tends to flatten out on impact, inflicting more injuries to organs and internal bleeding. So why does the DHS need 450 million such rounds? 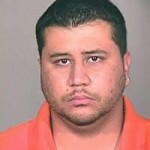 George Zimmerman is a “White Hispanic” – What Does that Make You? The alleged killer isn’t just “Hispanic” he’s being described as something entirely new, a “White Hispanic”. Could it be that the media is trying to stoke black-white racial tensions? Attacking Iran: Did US just torpedo Israeli deal for a base in Azerbaijan? This is a time of summation and resolution, every bit as much as it is a time of awakening and revelation. Iran announces new drone: New Technology, new threat? First there were moves to stop nurses from wearing crosses. Now a Christian doctor is sacked for emailing a prayer. Are the authorities trying to suppress Christianity?